Emsisoft Commandline Scanner is a console application for professionals who don't need a graphical user interface. The scanner is included in the following products: Emsisoft Anti-Malware, Emsisoft Anti-Malware for Server, Emsisoft Internet Security and Emsisoft Emergency Kit. For system administrators, security experts, and experienced commandline users. 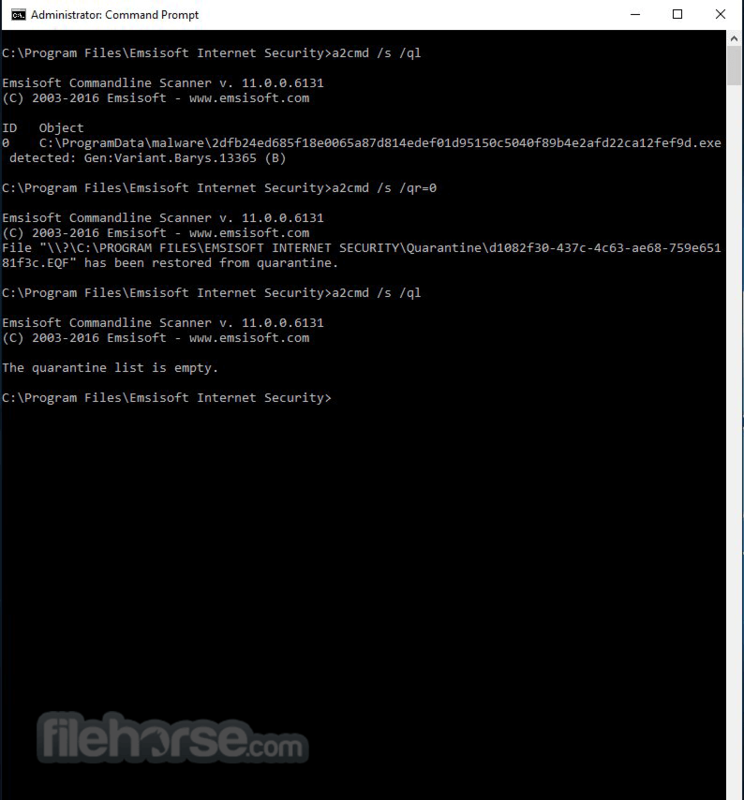 Check your system for malware infection with the Emsisoft Commandline Scanner. Defines if the Anti-Malware service is to be used for scanning. 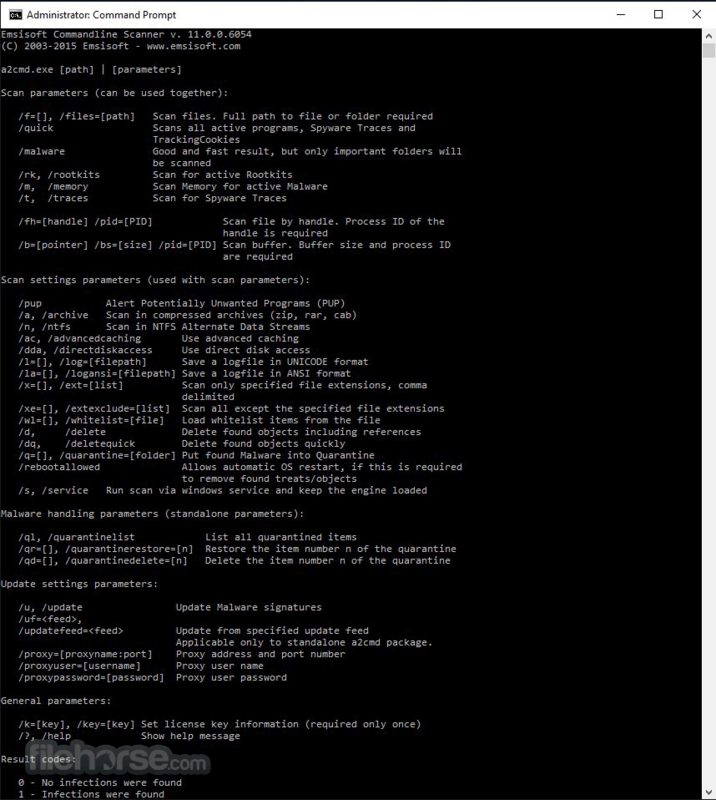 Background: When running many short scans, loading the scan engine afresh at each start of a2cmd is inefficient. Using the /s or /service parameter makes the Anti-Malware service load the engine and keep it loaded for later scans. If the service is not yet started or installed it is installed and started when the service parameter is run for the first time. This command is not available in Emsisoft Emergency Kit because the service component is not included. 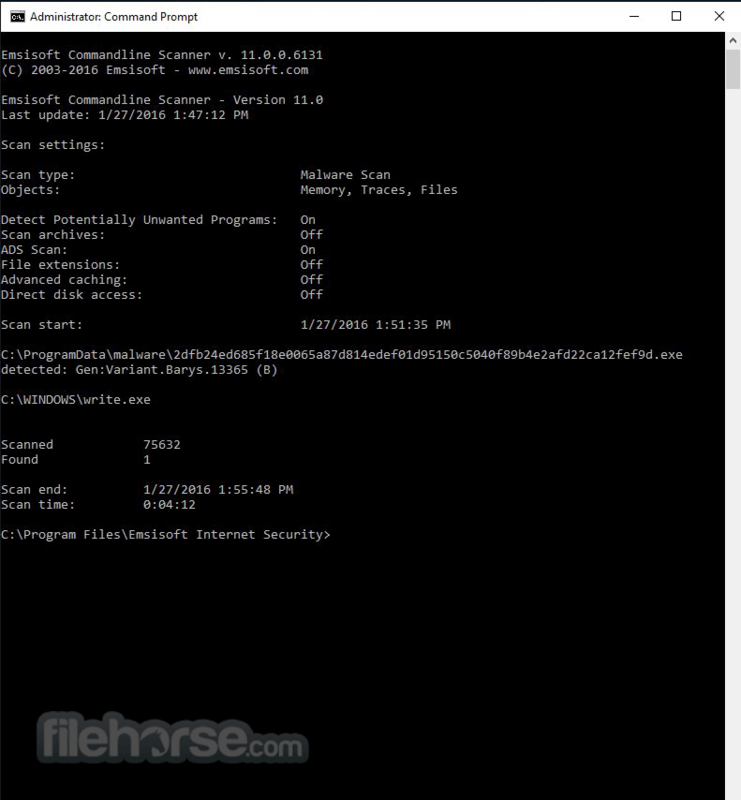 Start the Emsisoft Commandline Scanner by executing the "Start Commandline Scanner" shortcut in the extracted folder. The program as part of the Emsisoft Emergency Kit is free for private use. For commercial use please purchase a license of one of our available business products.